Booking your first lessons with a reputable Maui surf school is a great idea! Whether you live on the island or plan a quick visit, you should definitely live a true surfing experience. 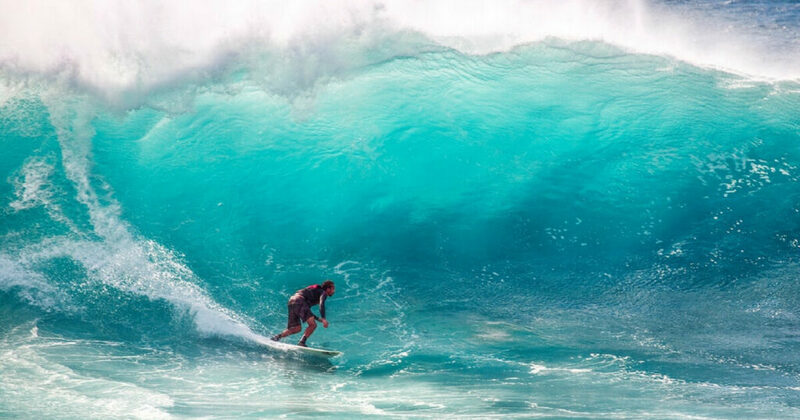 The first step to learn how to surf is finding a good Maui surf school you can join. Fortunately, our talented surfing instructors are available to teach you the basics of standing straight on a board. But even though anyone can learn how to surf, there are a few tips you should be aware of first. Here are a few basic tips & tricks you should know about before joining a Maui surf school for the very first time. As you may already know, surfing is not just a sport, it’s an art. Unlike learning how to ride a bike, standing up on a surfboard in the middle of the ocean takes practice. And a good surfing instructor will teach you how to do that on dry land first. Learning all you can about the basic concepts of surfing is important. In order to maintain your balance and avoid any possible injuries, you need to take your time and practice your surfing techniques away from the ocean waves first. Everything will be worth it as soon as you touch the water! Once you know the basics of standing and keeping your balance on your board, you’ll be able to become one with the ocean and – who knows! – maybe even catch your very first wave! Most people who are learning how to surf are eager to get up on their boards and hit the waves! But pacing yourself is key to learning the proper techniques. Learning how to surf is exciting and fun, but racing through the Maui surf school lessons will not help you one bit. Patience is an important trait of any good surfer and, as everyone knows, practice makes perfect. So try not to rush the surf learning process and take your time mastering the art of riding the waves of the ocean. Did you know using a large board with a soft top is best for a beginner surfer? Choosing a board that’s comfortable is the best way to learn, even if you’d like to surf like the experts. You’ll get to use a smaller board as well, but allow your Maui surf school instructors teach you how to master a large board first. Getting ready to fall in the water is also part of your first surfing lessons on Maui. Even if you use a large enough board, you should definitely be prepared to literally, get acquainted with the ocean. Falling off your board is part of learning how to surf. So don’t get discouraged if you seem to start your lessons with your left foot forward. Learn to love the experience as a whole and get ready to have a blast surfing for the first time in Maui.